The debate over water fluoridation goes back decades to when communities began fluoridating water to prevent tooth decay. Over the years multiple studies have shown that while it may improve oral health, it comes with many health-damaging side-effects such as reduced IQ, cancer, attention deficit hyperactivity disorder (ADHD), obesity, and depression. Ignoring the compelling evidence, the U.S. government has been repeatedly telling us fluoride in drinking water is a safe and effective way to protect our teeth. After decades of hard work and raising our voice, a lot of people are waking up to the dangers of fluoridation and have begun putting pressure on the EPA (Environmental Protection Agency) to halt this controversial, health-damaging practice. Many Americans are now using their votes and voices to keep this highly toxic byproduct of the fertilizer industry out of their drinking water. Yes, you read that correct, the fluoride used to enrich some of our drinking water is nothing more than a toxic, chemical byproduct of fertilizer plants. What’s worse, 90 percent of the U.S. fluoridated water supply has never been tested for safety, reported Global Research. If you are concerned about your tap water CWC Labs, a trustworthy international ISO accredited lab founded by Mike Adams, The Health Ranger, can analyze your water sample for toxic ingredients, including fluoride. While Americans are finally taking a stand again fluoride, Australia has just taken a step back by declaring that fluoride in drinking water does not cause cancer or lowers a person’s IQ. They noted it is “completely safe” and not associated with any negative health effect. After analyzing 60 years’ worth of research and 3,000 studies, Australia’s National Health and Medical Research Council (NHMRC) revealed that fluoride in drinking water does not cause cancer or lower a person’s IQ, under the levels used in Australia. “It shows that community water fluoridation as it’s used in Australia today is effective at reducing tooth decay and is not associated with any general negative health effects,” said NHMRC CEO Anne Kelso. According to NHMRC fluoride reference group member Professor Clive Wright, previous studies about water fluoridation affecting children’s IQ were based on old Chinese studies. 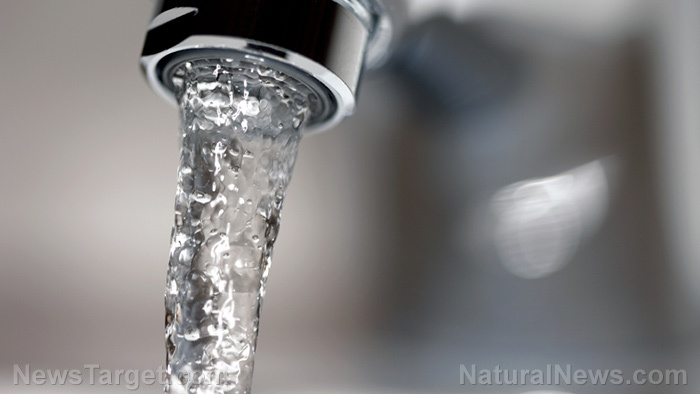 He explained that these studies used poor methodology and included areas with up to five times more fluoride in the water supply compared to Australia. The authors of the Australian study also concluded that there is no connection between fluoridation and certain types of cancer. According to the study’s results, rather than being harmful, fluoride used at optimum levels resulted in a 26 to 44 percent reduction of tooth decay. Hence Australia’s “completely safe” verdict. Additionally, Sky News reported that there has been no clear association between fluoridation and Down syndrome, mortality, hip fractures, bone cancers, osteosarcoma, and Ewing sarcoma. Also, there is insufficient proof of fluoride being a primary cause of chronic kidney disease, heart disease and high blood pressure, kidney stones, low birth weight, osteoporosis and musculoskeletal pain, thyroid function, gastric discomfort, headache, and insomnia. Don’t these conclusions make you wonder which “trustworthy” sources the Australian researchers used for their study? The safety levels are set in the NHMRC’s Australian Drinking Water Guidelines (AWDG) and the Australia New Zealand Food Standards Code. The upper limit for tap water is 1.5 micrograms per liter and the limit for bottled or packaged water lies between 0.6 and 1.1 micrograms per liter. In 2016, the National Resource Council (NRC) concluded that fluoride is a neurotoxin that can inhibit brain function. Other studies reportedly found that children exposed to fluoridated drinking water had a lower IQ. Furthermore, fluoride may harm tooth enamel or cause dental fluorosis. Given these risks, it is strange that Australia decided to keep poisoning its citizens via fluoridated drinking water because it may prevent tooth decay. Know that there are far better, natural solution available to improve oral health, including coconut oil, baking soda, or tooth salt with neem. Find more information about the health dangers of fluoride in our drinking water at Fluoride.news.